Today's post is on the chemise a la reine, which I talked about in the BBC article about shocking trends in fashion history here. I wanted to put this up now, because it's important background information for the next part of my post on Self Portrait with a Harp. La reine en gaulle, by Elisabeth Vigée-Lebrun, 1783. At the National Gallery in Washington DC. The gaulle, or chemise a la reine, was made infamous by Marie Antoinette in the early 1780s. In contrast to the highly structured garments worn by the French court and society at large, the gaulle was incredibly light and simple. The gaulle consists of layers of thin muslin, loosely draped around the body and belted around the waist with a sash. It was the perfect garment for lounging in the country in the spring, and the fashionable ladies of France and England quickly took up the trend. However, when Elisabeth Vigée-Lebrun painted Marie Antoinette in her new clothes, the portrait launched a scandal and helped to solidify the peoples’ hatred for their queen. By the time Marie Antoinette introduced the gaulle, she had already begun a string of rebellions against the ritual and structure of French court life. Actions such as abolishing the morning toilette, allowing commoner Rose Bertin into her inner circle, and escaping to the Petit Trianon had all caused anger and suspicion with the aristocracy. Marie Antoinette’s highly public persona and extravagant habits were also cause for concern. Traditionally, French queen’s led quiet lives, bearing sons to carry on the family line and retreating into the background for a private and relatively simple life. Marie Antoinette’s behavior, on the other hand, was more that of a King’s mistress, and thus highly criticized. 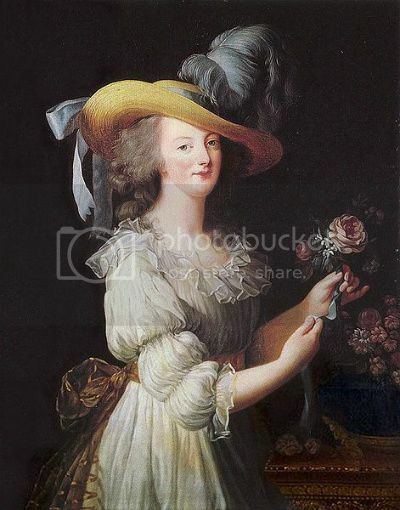 Even when Marie Antoinette entered into a more private lifestyle at the Petit Trianon, the exclusivity of her retreat continued to raise criticism, as the traditional right of the aristocracy to constant access to their monarch was cut off. 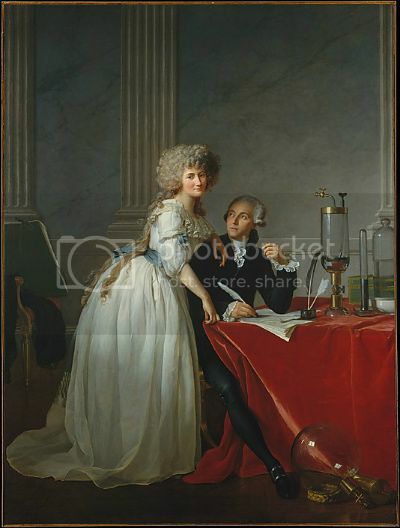 Antoine-Laurent Lavoisier and His Wife, by Jacques-Louis David, 1788. In the collection of The Metropolitan Museum of Art. In these rebellions, Marie Antoinette attempted to gain a personal autonomy. With a marriage that remained unconsummated for seven years and a lack of political influence with her husband, Marie Antoinette wanted to gain a power she lacked in other aspects of her life. Through her fashion and decadent lifestyle, she attempted to convey a powerful persona. 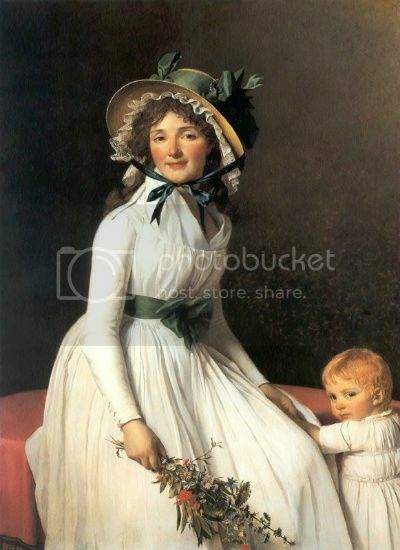 This desire for a sense of personal autonomy and individuality is represented in the gaulle, famously presented to the world in a highly controversial portrait by Elisabeth Vigée-Lebrun. Unlike traditional portraits of French queens, Vigée-Lebrun’s portrait removed all references to the king, portraying Marie Antoinette as her own person, individual from her role as wife to the reigning monarch. Marie Antoinette’s hatred for the structure and ritual of court life at Versailles is symbolized in the unstructured and simple nature of her gaulle. It seems as though this simpler style, representing a more democratizing spirit and costing much less than the queen’s previous elaborate court wear, would have been celebrated by the public. Yet when Vigée-Lebrun painted Marie Antoinette in her new garment, there was an enormous public outrage. The simple garment looked like a chemise, the basic undergarment worn by all women. The public thought their queen had been painted in her underwear, a highly shocking notion. Subsequently, the garment gained the moniker chemise a la reine. 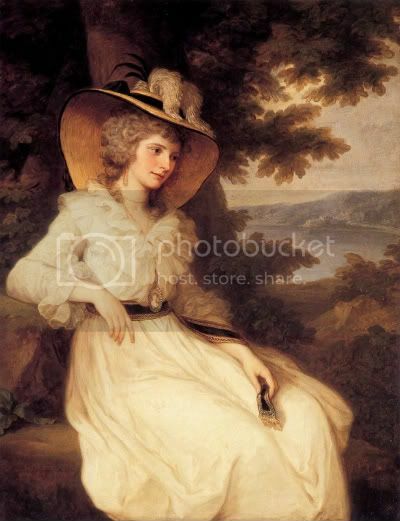 Lady Elizabeth Foster by Angelica Kauffman, 1785. Elizabeth Foster was British, and a close friend of Georgiana, Duchess of Devonshire, showing the international appeal of the chemise a la reine. There were more symbolic issues with the garment as well. It represented an economic threat, as it was made from fine muslin imported from England. When the chemise a la reine caught on, the French silk industry reported enormous financial losses. More importantly, in the eyes of the public, the chemise a la reine symbolized the queen’s rebellion against traditional political and gender roles. Marie Antoinette asserted her identity as an independent woman, removing the traditional signifiers of royalty and taking on a new role. To a country entrenched in an absolutist system, where the glory of the monarch was constantly reinforced, this individuality was an insult to the glory and power of the monarchy, and in taking power for herself, Marie Antoinette represented a political threat. Madame Seriziat by Jacques-Louis David, 1795. In the collection of The Louvre. None the less, the chemise a la reine became a popular garment both in France and abroad. Famous British fashionista Georgiana, Duchess of Devonshire wrote that she received a chemise a la reine from Marie Antoinette, and many notable English women of the period are painted in the garment. In the broader spectrum of fashion, despite its controversial beginnings, the simplicity of style and material became the norm. In the above picture, Madame Seriziat wears a slightly more structured version of the chemise a la reine, showing its adaptation by the broader population. Thus this controversial garment was a lynchpin in fashion history, signalling a transition to the light and natural garments favored in the early 19th century.